Rounding out the week on a high here on IADW - I get to say 'Gidday' to two more folks who have clicked 'Follow' right on this here blog; Dexterwee and NunoXEI! Dexter Wee is an illustrator and comic book fan from the Philippines, with some pretty sweet original pages up over on his self-titled blog - just wait till you see the detail! 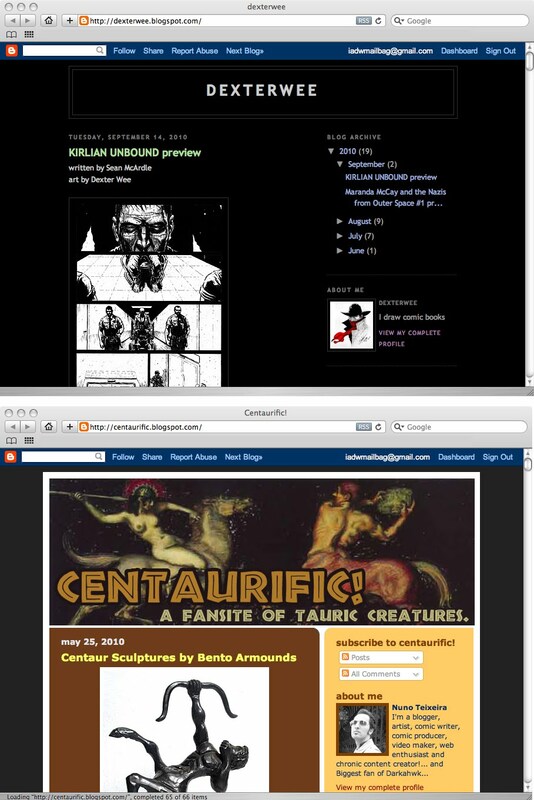 Nuno Teixeira hails from Canada, and is not only the self-confessed 'biggest Darkhawk fan' around, he runs three blogs of his own - including one based on those mythological staples, Centaurs! 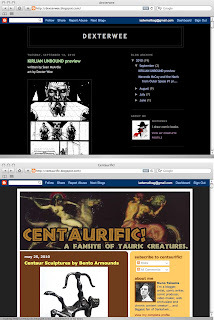 Checkout Centaurific next time you have a few seconds to burn! Welcome to IADW Dexter and Nuno - glad to have you aboard!